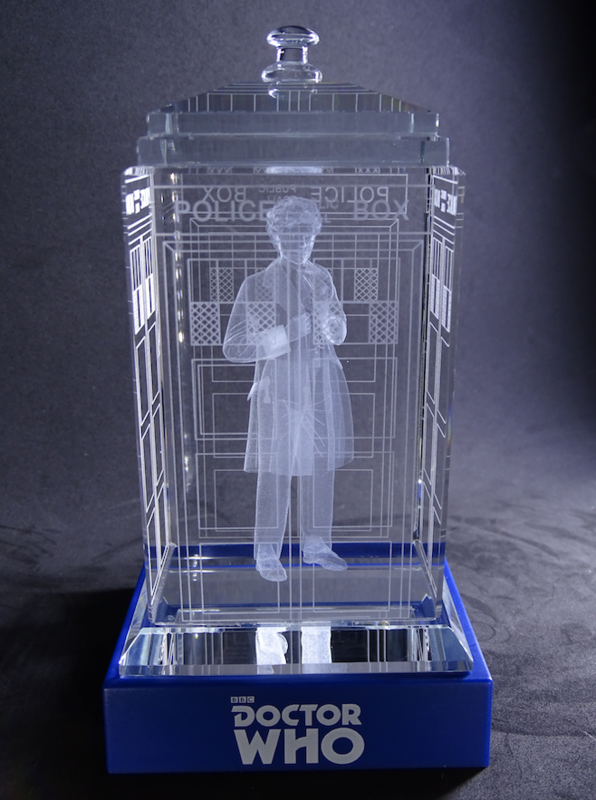 The Doctor Who Crystal TARDIS is the latest collectible creation from the Crystal Carvings Collection. 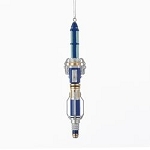 Crystal Carvings begins by masterfully carving only the highest quality Crystal to create the unique shape of the TARDIS, known and loved by Whovians the world over. 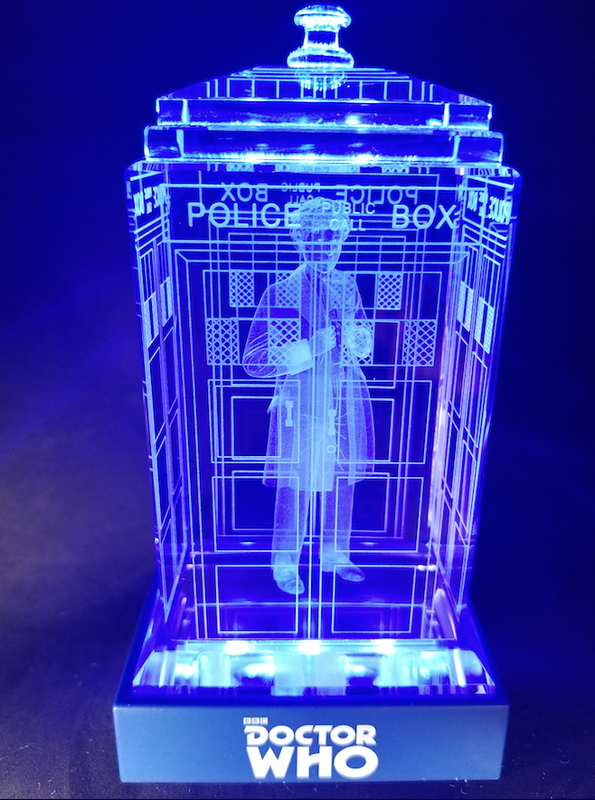 Using proprietary technology, Crystal Carvings uses five different crystal layers to crafts multiple accent pieces to give the TARDIS a rich centerpiece look! Crystal Carvings carefully engraves the crystals exterior for a highly detailed and authentic look. 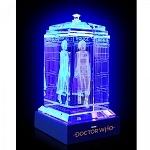 The Crystal TARDIS comes with and sits on top of a beautiful custom blue LED display stand that makes every inch of the TARDIS glow. This special TARDIS features a 3D rendering of Colin Baker in its depths.